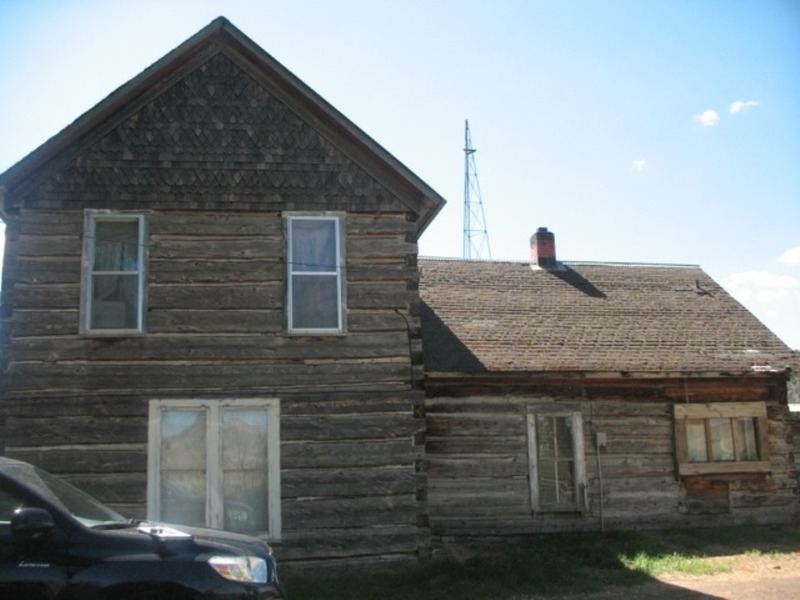 This home was completely dismantled and demo'd. 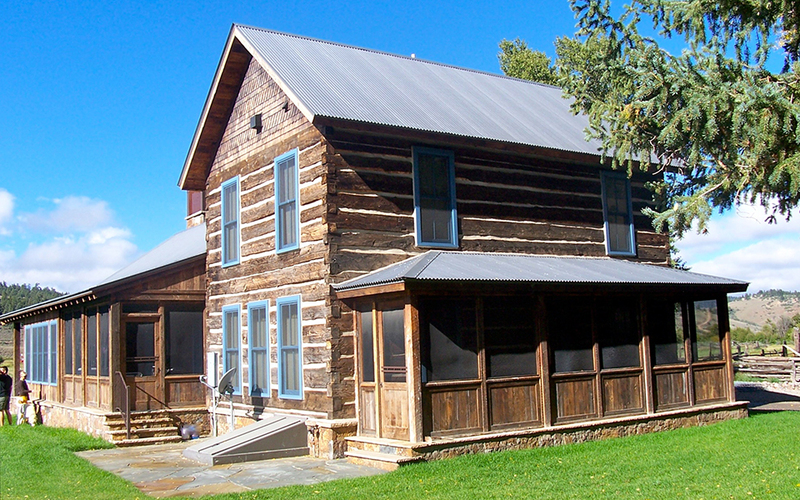 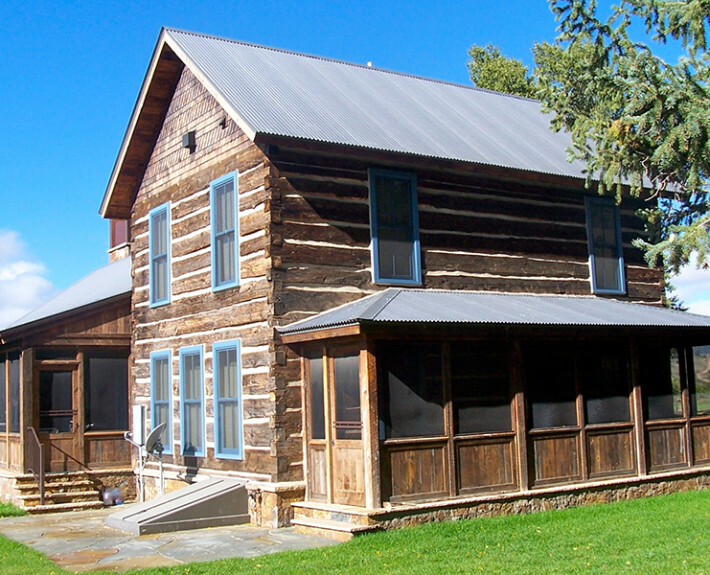 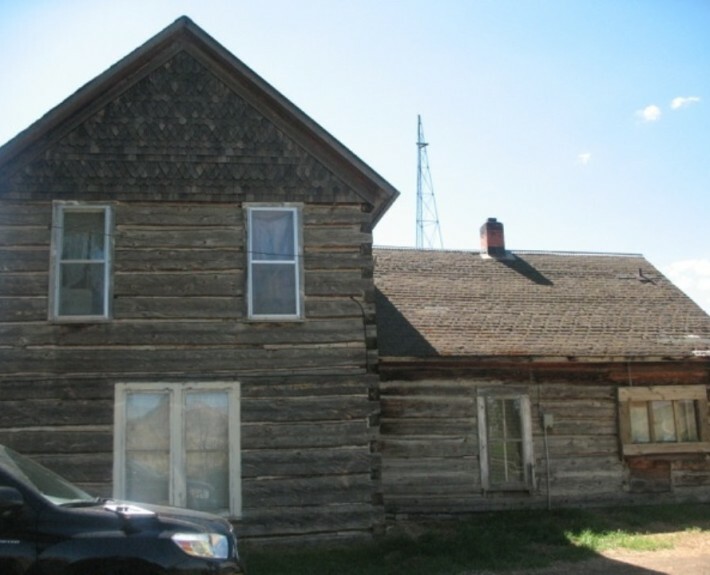 The original front part of the house was re-assembled using all of the original timbers in the same exact sequence. 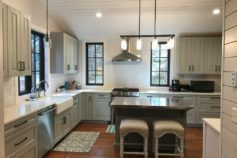 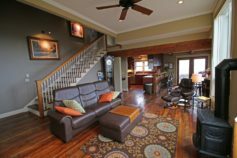 The re-design was thoughtfully done to bring the house up to modern times and addressing the owner's specific wants and needs. 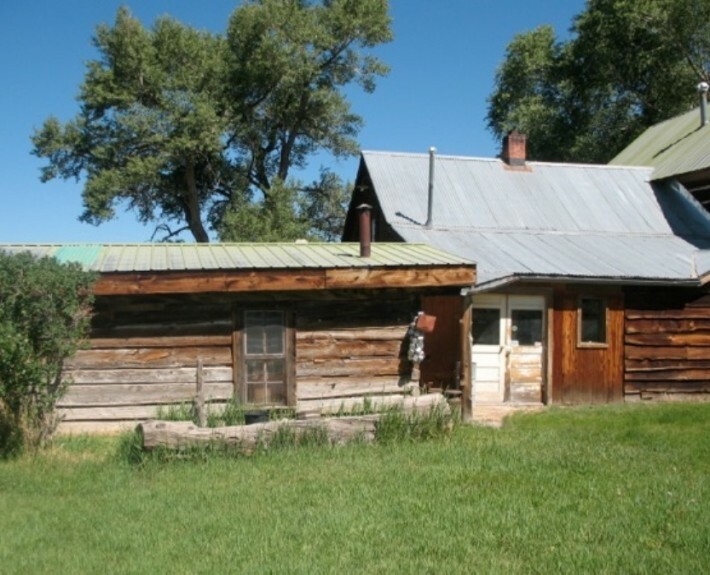 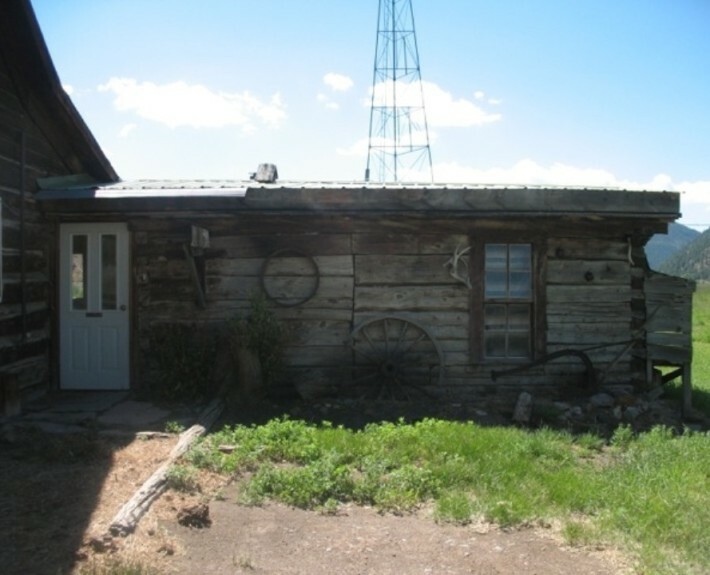 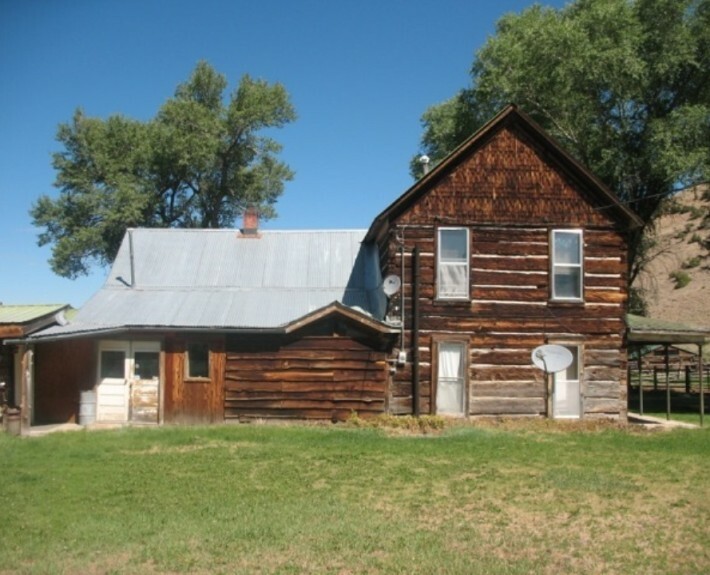 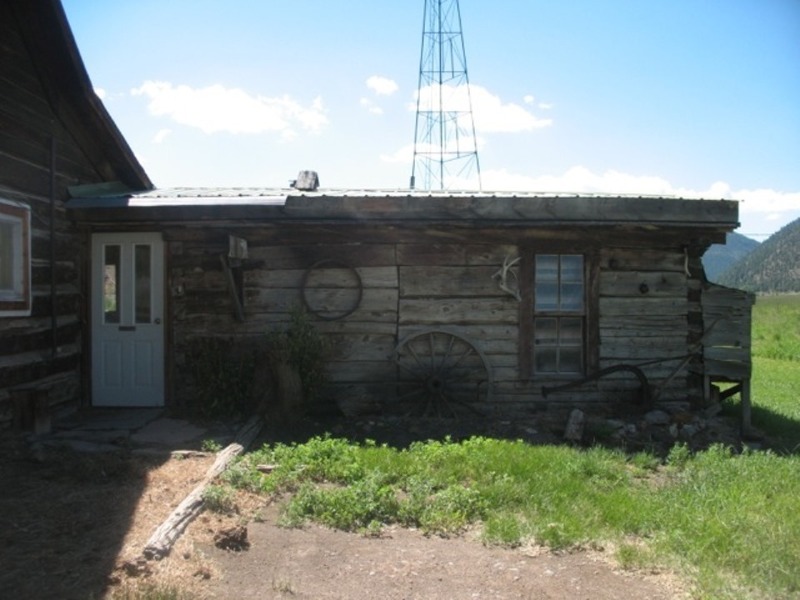 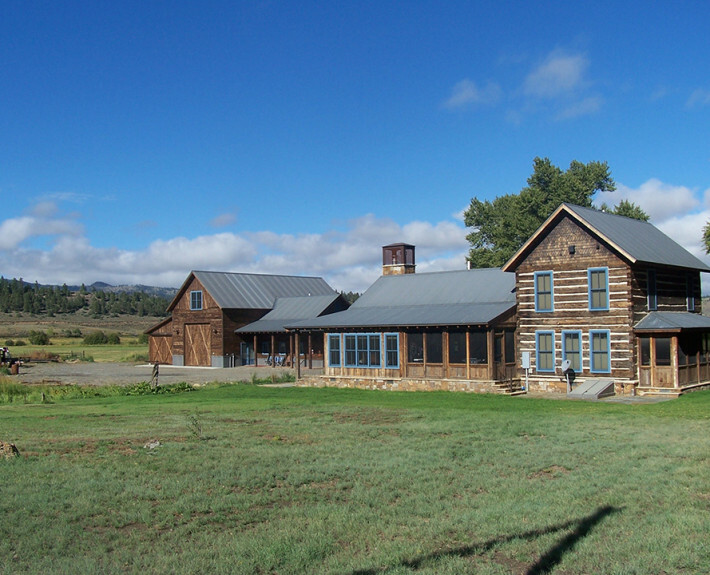 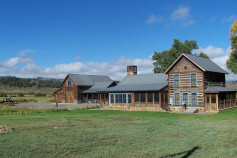 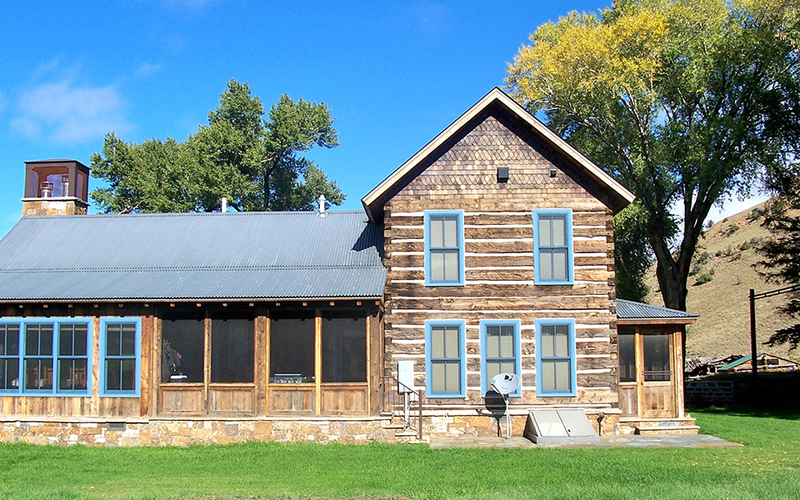 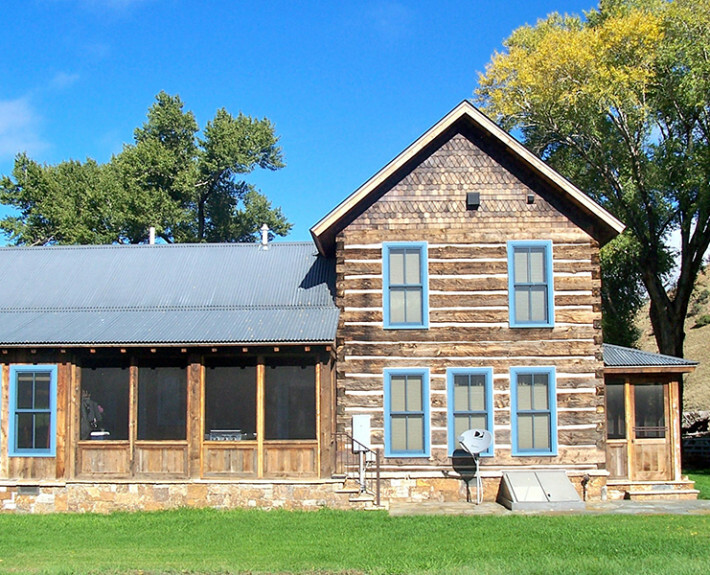 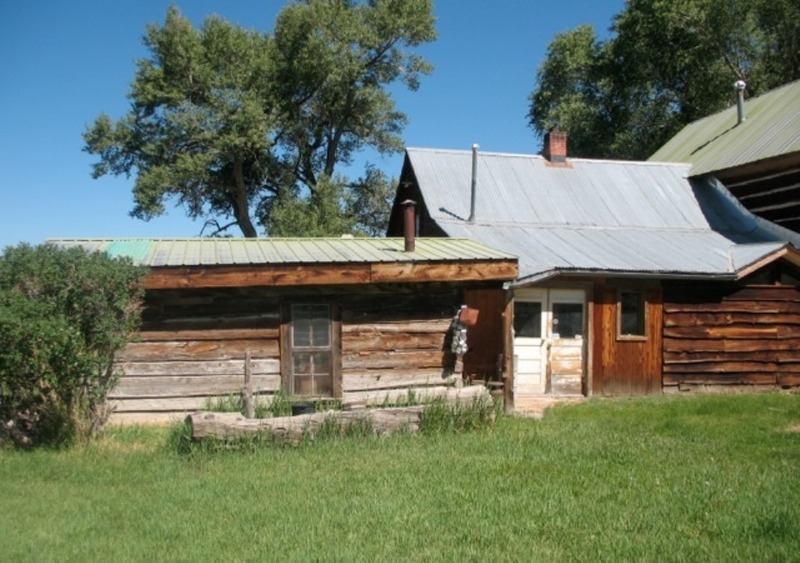 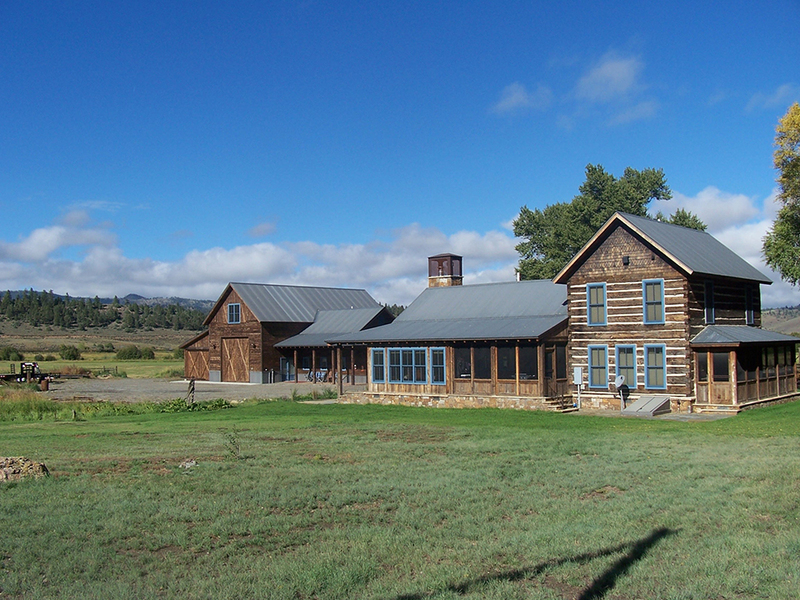 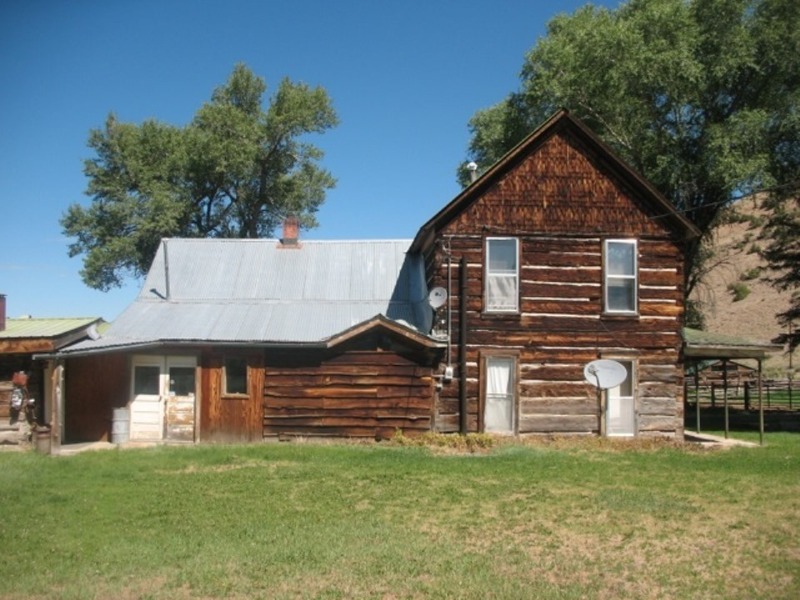 The new structures on the property consisted of: the main house, guest house and large barn/office. 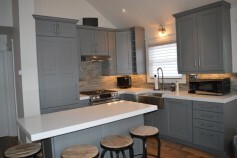 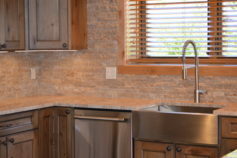 We worked very diligently with the owner in specifying every light fixture, flooring material, paint color, plumbing fixture, countertops, interior doors, windows, hardware and cabinetry design. 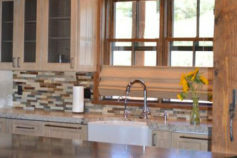 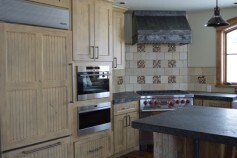 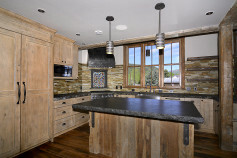 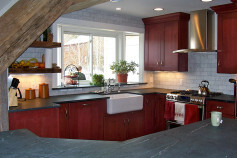 Contact Shannon Renick for all of your design, planning, cabinet and window covering needs in Crested Butte.